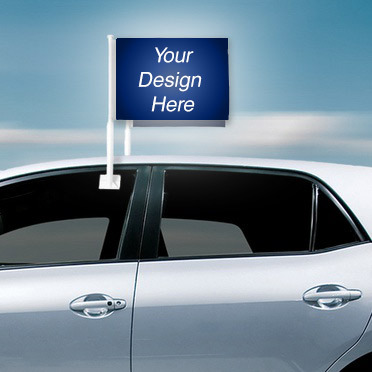 Custom Car Wraps - Design Your Own Vehicle Wraps, Magnets, Vehicle Advertising, and more! 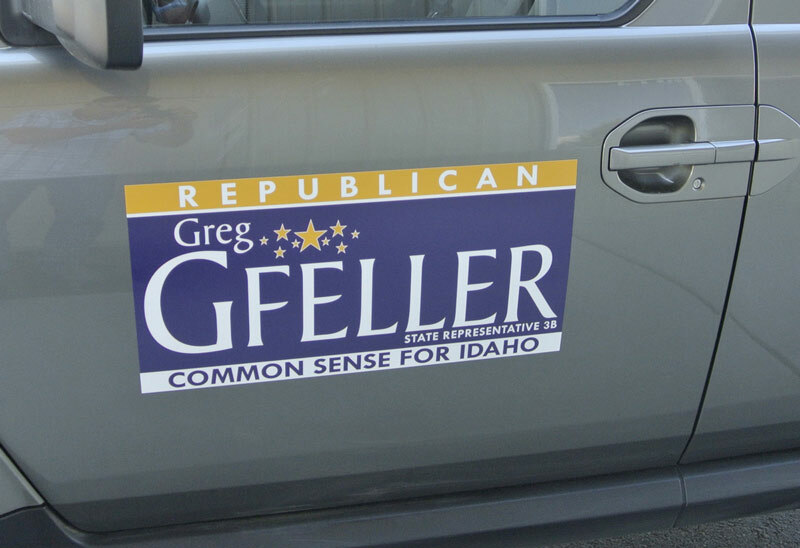 A cheaper alternative to fleet advertising with vehicle wraps our decals are a great way to get your business seeing results from vehicle graphics. *Photo shown is an example only and is not actual size. 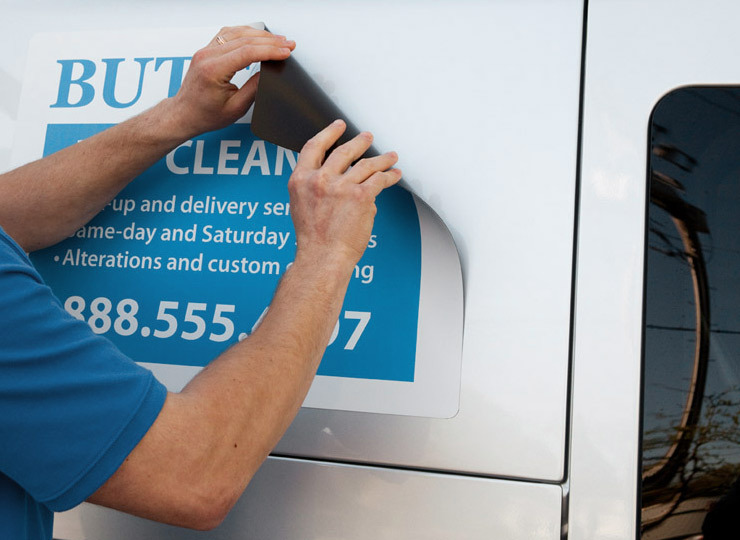 This is an adhesive vinyl which can show your full color graphic and features a micro groove air release. The vinyl also features 3M lustre laminate for added protection. Your custom car decal will come shipped in a tube. Production time is typically 2 business days. This decal is 14" wide by 12" tall. -Protective laminate for added protection. -Micro-groove, air release liner for easy application. -Promote your business on the go. -Clean & dry the surface area before application. 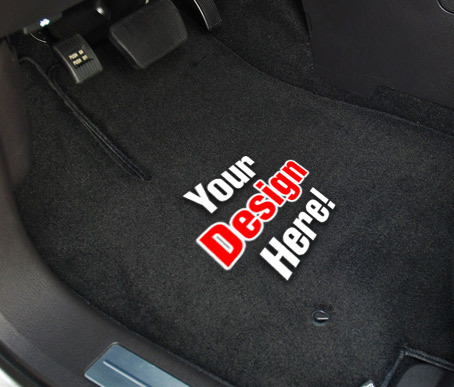 -Hold decal up to desired location to ensure proper fit. -Caution: the decal will adhere strongly to the surface & cannot be reapplied. -Wash car regularly to keep decal clean & looking fresh. -If applied to window, avoid using ice scraper during winter months. After completing all of the steps above, your custom Car Decal 14"W x 18"H will be saved now (to your free profile) where you can share it with your friends on any social network, or by email! Your design will also be added to your shopping cart. Check our homepage for promotions and coupons for exclusive Custom Car Wraps offers and discount codes! 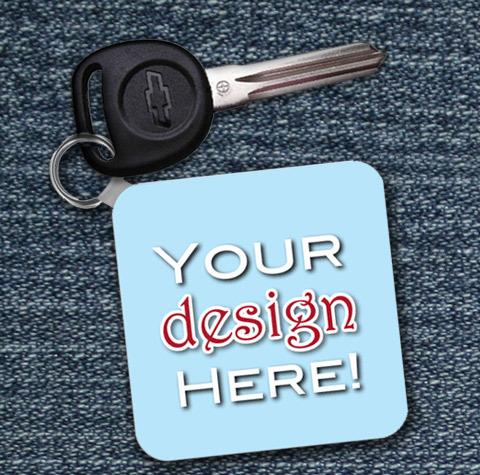 Contact us if you have any feedback on how we can improve or what products you’d like to see next on Custom Car Wraps!